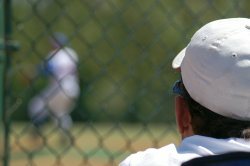 Talent Management: How Can Recruiters Get in the Game? Should the corporate recruiter effectively bring the employee to the manager on the first day – and then not be seen or heard of for eternity – freeing the recruiter to do what they do best which is finding top talent? Should there be a gradual bedding in, transition process where the corporate recruiter uses the knowledge that they have built up of the new employee during the hiring process to assist the new manager to more effectively on board and develop the new employee? I believe there is a strong case for recruiter involvement in talent management, especially if the organization is showing high employee turnover rates within the first year of employment – which can indicate that there is some disconnect in the hiring process between corporate recruiters and the hiring manager. This is because increased participation by the corporate recruiters in the on-boarding and first year talent management process can enable the recruiting organization to observe hiring mistakes and enhance the hiring process going forwards. OK, now we understand that recruiters have a role to play in talent management, exactly what kind of interventions can a corporate recruiter make in the talent management process directly following the hire of a new employee? I believe there are two crucial areas of potential involvement. The corporate recruiter is likely to have a greater understanding of the corporate culture and environment within the new recruit’s previous organization. They are also likely to have a superior understanding of the new employee’s expectations of work-place culture in the new company. If the new employee is experiencing a change in culture — say moving from a formal to a less formal environment — the corporate recruiter can act as a bridge, readying the employee for the new culture by managing their expectations downwards while at the same time working with the manager to make them aware that they may need to assist the employee make the cultural adjustment. Such assistance might involve recommendations that the new employee gets a ‘buddy’, or receives coaching on showing initiative and pushing boundaries. It is important to manage the employees cultural expectations as a recent Gallup Survey showed that ‘Management/General Work environment‘ was the fourth commonest reason for employee’s leaving jobs. Another area that the corporate recruiter is likely to be tuned into are the employee’s job and career expectations, which can sometimes be different to the reality that they face on day one, especially during long or fragmented recruitment processes when the actual work to be done can change. In this environment, the recruiter can help to coach the new recruit to show flexibility and can highlight to the manager how the role – now or in the future – may be different to the employee’s expectations. This is not meant to be a slight on the manager, as role emphases can and do change to suit business needs. Also, the corporate recruiters can coach the manager on how to handle the employee’s expectation and the importance of allowing the role to develop in line with these expectations. A recent survey by Gallup showed that ‘lack of fit to job‘ was the third commonest reason for unwanted employee turnover, so it is vital that companies effectively manage job expectations and recruiters have a huge part to play as shown above. Also, the most common reason for employee turnover was ‘lack of career advancement/promotional opportunities’ which further underlines the importance of managing employee’s career expectations many of which will have been set during the recruitment process. The research from Gallup has shown how important it is for an organization to effectively manage an employee’s job, career and cultural expectations if it is to retain its top talent. Since many of these expectations are established and reinforced during the recruitment process, the recruiter is in a prime position to work with the managers to ensure that the ‘at work’ talent management processes take into account these employee expectations.